Want an economic internet solution for your Arduino? 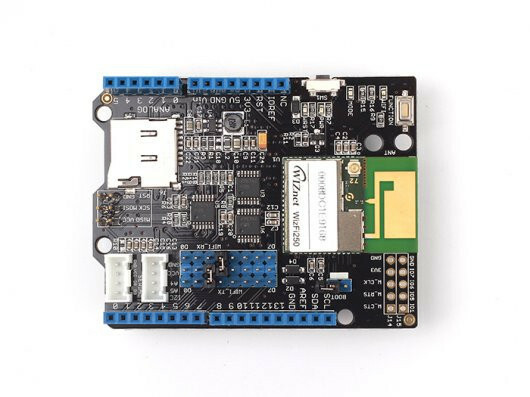 Checkout WiFi Shield (Fi250) v1.1 – features IEEE 802.11b/g/n mode, speed upto 65Mbit/s, 1MB Flash Memory, 128KB SRAM, 1MB Serial Flash and a Micro SD card socket. It has on-board antenna and also a UFL connector – you can use an extra antenna to improve the signal range. Ideal to build connected projects.